EUNO (EUNO) - Events, Price, Market Cap, Supply, Exchanges and more! EUNO is an A11 Algorhythm cryptocurrency that uses Proof of Stake/Proof of Work and also Masternodes. It's focus is as a privacy coin with Stealth transactions. Test ACID Protocol on EUNO Test Net. Beta for Euno Pay Release. 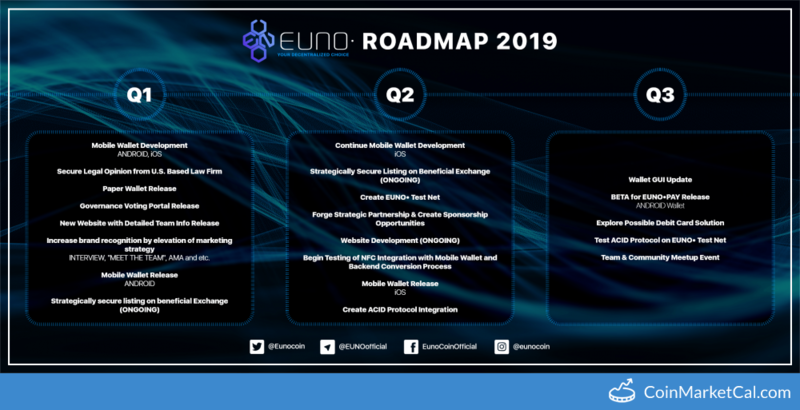 EUNO Mobile Wallet will be released in Q1 2019. 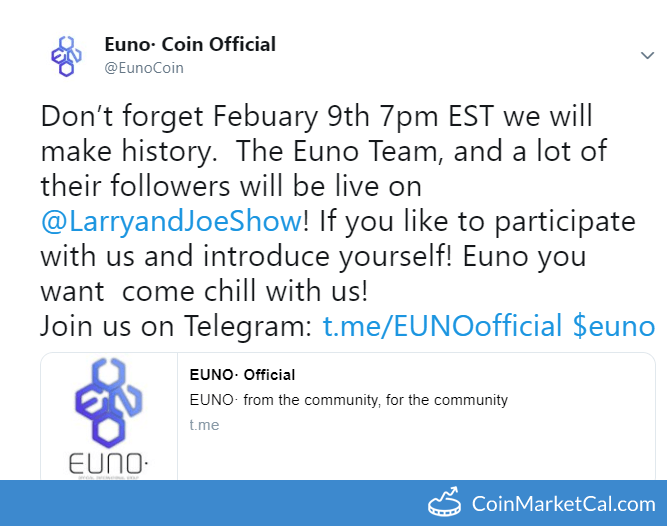 Febuary 9th 7pm EST the Euno Team will be live on Larry and Joe Show! 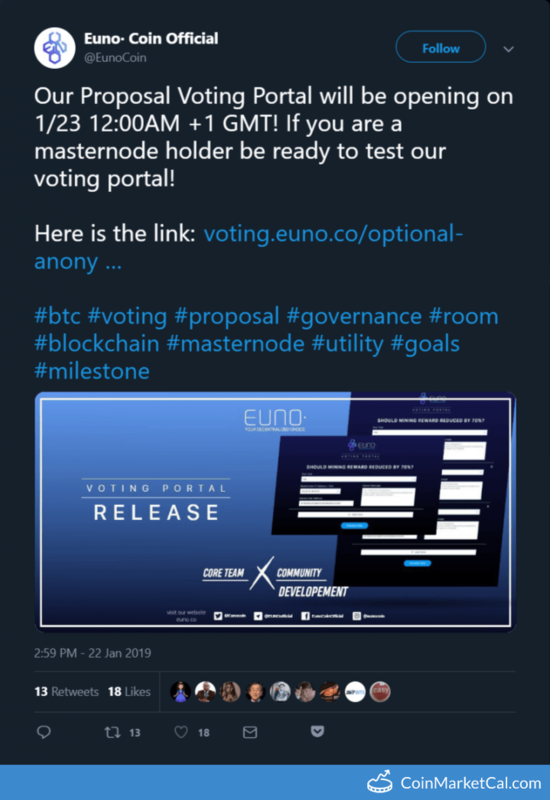 "Euno will be releasing a governance voting portal for all masternode operators to create proposals and vote on them!" Our Proposal Voting Portal will be opening on 1/23 12:00AM +1 GMT! 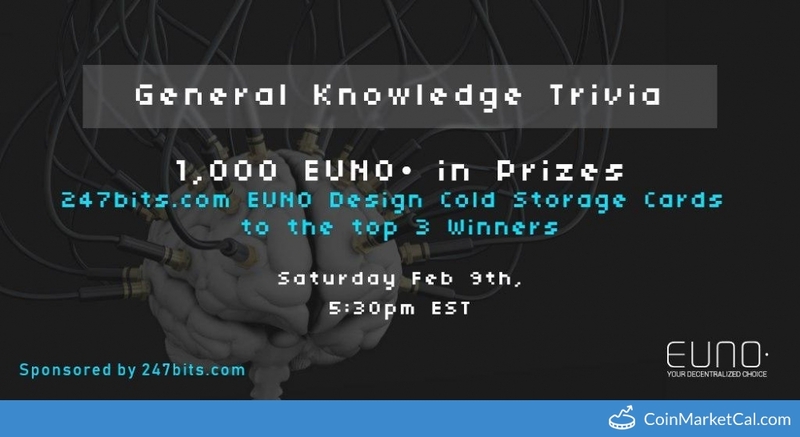 link: https://voting.euno.co/optional-anonymous-voting-governance-portal. 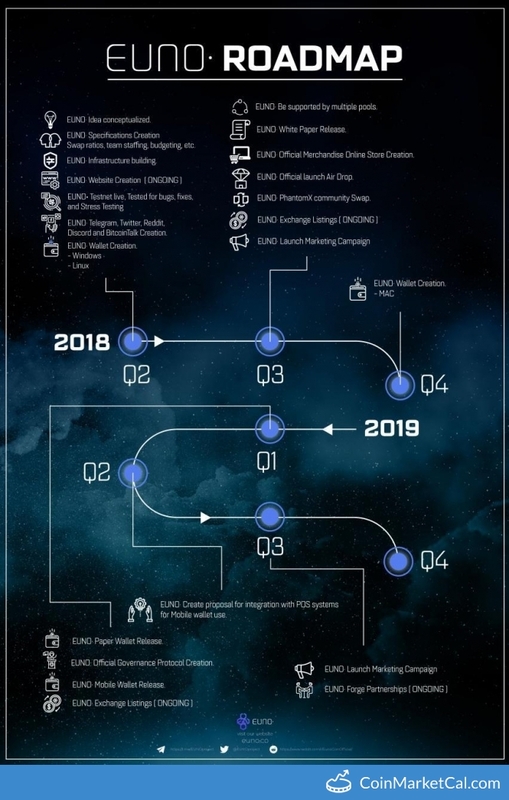 "We are thrilled to release our 2019 Roadmap!!" "We are pleased to tell you that we have 19% off EVERYTHING on our Merchandise Shop - http://shop.euno.co CODE 'SALE19'," from Jan 8-12.